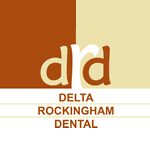 Delta Rockingham Dental are a successful local dentist with a thriving practice. They have the absolute latest state of the art and modern dental equipment. Dr Kevin Siebel has been practicing general Dentistry since graduating in 1993 with Honours from the University of Queensland. Dr Siebel was accepted for a scholarship through the Royal Australian Navy where he served for 9 years in total. They had engaged another web company 2 years prior to get them online. They still didn’t have a web presence when we spoke with them. To make the situation more difficult there had been a staff changeover so it wasn’t clear at what stage the project had reached. In addition to this they had commissioned and paid for a HD Video of the modern practice that they weren’t able to use or leverage from at this stage. not the best choice for maximum search engine ranking results. To get them online with a dynamic web presence in the shortest time frame possible. To liaise with the previous web company and obtain as much information from the previous build attempt to hopefully save Kevin and his team valuable time in geting the business online. To help retrieve the video and integrate it into their website and marketing strategy for best results and return on investment. To register a more appropiate domain name that lined up with the business name yet benefitted them with Google and their web rankings. We reached an amicable arrangment with the previous web builder and managed to retrieve ‘some’ of the information. We then ran the Delta Dental team through our well structured ‘fast track’ web build brief system to speed up the build process and the website going ‘live’. The video was loaded and optimised into their new Google and YouTube account. It was also integrated into their website to showcase their business effectively. In the first 10 days they were on Page 1 in Google for several of their primary search terms. 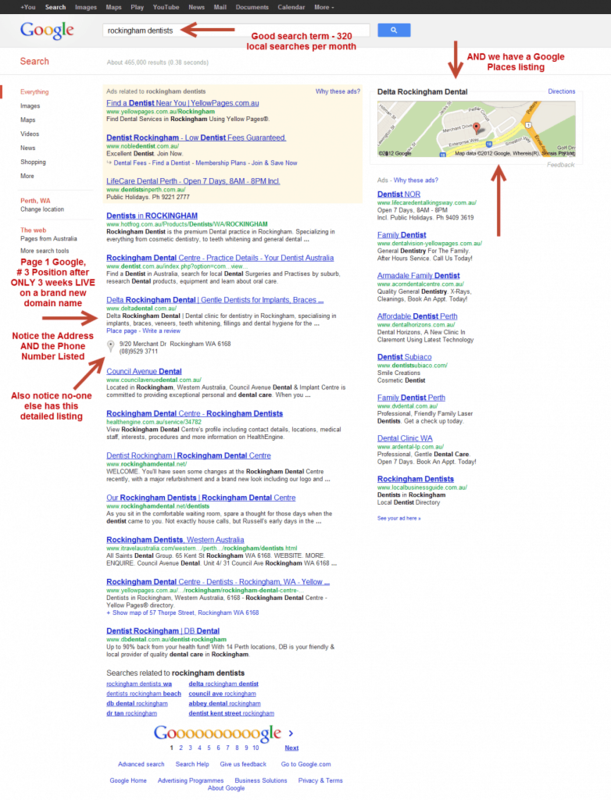 In only 3 weeks they were in Page 1 and Position 3 in the Google for their highest volume keyword. Their traffic from the search engines was dramatically increasing each and every week. Thanks for helping us to get online so smoothly (especially after our previous bad experience at getting online). You have a great team, obviously well organised and certainly results focussed. Love the look of the site and even more rapt with the Google rankings after only 3 weeks, page 1 and position 3. Very impressive. Looking forward to a long working relationship with you and your team. From: Kelly Hallums – Practice Manager. Working with Peter Butler and his amazing team has been nothing short of a joyous experience. We were in desperate need of updating and creating a dynamic website – Peter has achieved that and more! He provides us with inspiration, coaching and his passion shines through evidently in our fabulous final product. This is just the beginning of our working relationship; our team here at Delta Rockingham Dental look forward to keeping up to date in the social media network and learning much more. Thank you Peter for sharing your wealth of knowledge and supporting Delta Rockingham Dental. Kelly Hallums – Practice Manager.